Kings County is exceptional for both its agricultural production and its exceptional agricultural education programs. We are home to both unique agricultural industries and some of the largest and most dynamic agriculture programs in the nation. 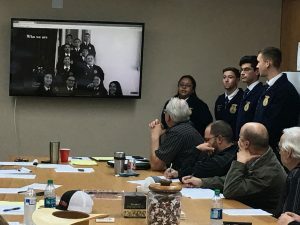 In December, agricultural mechanics programs across the county were contacted by the Kings County Farm Bureau seeking to merge the concept of agricultural production and 100 years of service from the Farm Bureau on behalf of farmers and agriculturists. The request was a statue commemorating the dedication on behalf of the Farm Bureau and their relationship with Kings County Agriculture. Corcoran FFA mechanics partner with Kings County Farm Bureau for 100th Anniversary project. Two programs emerged as finalists after submitting their proposals. Both Corcoran and Hanford worked diligently to submit quality designs representing the proposal and their programs. After a rigorous selection process, Corcoran Agricultural Education is pleased to announce our partnership with KCFB in this project. When considering a design for this project, we elected to engage our Farm Enterprise class for the design. This was due to the unique aspect of the class that brings together students from both agricultural science classes and agricultural mechanics. Moreover, these students are unique in being from both production agriculture backgrounds and non-traditional students. The resulting project is a testament to their diversity and ingenuity. 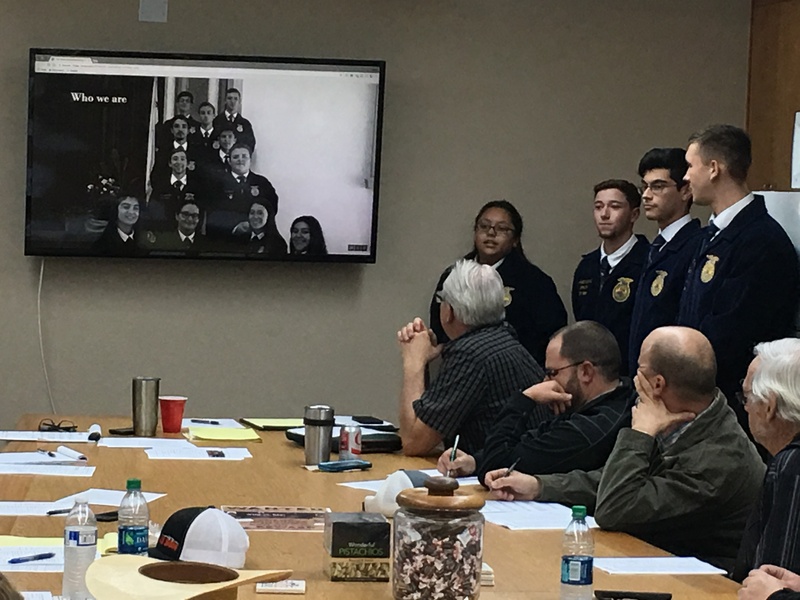 The project was handled as a class, where they designed the project, crafted a proposal, and culminated the experience with a presentation to the Farm Bureau board. Throughout the process students engaged in authentic learning, while delving into the heritage of their community and county’s agricultural background. The initial proposal centers around seven barrels positioned on podiums, with six barrels representing key crops in Kings County. The seventh shows a cutout of the county, with the KCFB’s mission inscribed in the center. Placement and final design considerations are still being discussed, but we are excited to keep the community engaged as the project continues. Corcoran Agricultural Education and the Farm Enterprise class are humbled by this opportunity to partner with KCFB. Moreover, we are appreciative of the consideration given to our students. We would also like to thank Hanford High and their instructor Brian Combes. Their design was excellent and certainly would have represented the intent of the project equally as well. We look forward to sharing more soon, until then we will continue to keep you in suspense.